Fast Shipping!Can Be Tracked!High Quality! Power: 36W. 3、The sunlight manicure and phototherapy machine will not blacken your hand or hurt it. 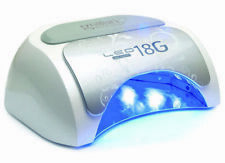 The sunlight manicure and phototherapy machine will not blacken your hand or hurt it. 6、Cures all kinds of nail gel polish: LED gel, UV gel, Builder gel, Sculpture gel etc. 99s low heat mode, protect skin and eye ,no blacken. Low heat mode relieves you from pain when curing gels. Perfectly designed for all nail experts to fast cure UV gel, builder, LED gel, all nail polish gels. Tasa de potencia: 36W. Con la función de temporización, puede ajustar el tiempo de secado para secar diferentes geles. Será muy conveniente secar las uñas y los pies y presenta un efecto magnífico para su salón de belleza. Double source lumineuse LED UV . Lampe perles nombre : 3PCS. Interface USB. Single weight 30g. Product Size 100 55 15mm. Lamp beads number 3PCS. Potenza: 6W. 1x Lampada. Illuminazione: 6 LED. 9W Lampada UV per Ricostruzione di Unghie. - Consumo: 9W. - Può essere usato per i chiodi istanti del gel secco. Power: 36W. Simple design, in line with modern people's preferences. Item Types: UVLED Nail Lamp. 1 x UVLED Nail Lamp. 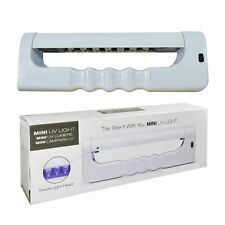 Double light sources (365 405 nm) Leds to cure UV Gel/Extension Gel/ LED Gel and all kinds of gels. Prodotto potenza: 6W. Product power 6W. Doppia sorgente luminosa UV LED. MPN QWE8563254120120FF. Single weight 8.8g. Product Size 75 21 11mm. Product material PC ABS electronic components. Puissance: 36W. 1x Lampe à ongles. détail de l'image. 1x USB câble. 1 x Curing Lamp Light. Dual light source UV LED. Lamp beads number: 3PCS. USB interface. Single weight:30g. Puissance: 36W. 1x Lampe à ongles. LED QTÉ: 12. détail de l'image. 1x USB Câble. Power: 48W. Do your manicure,dry your gel. 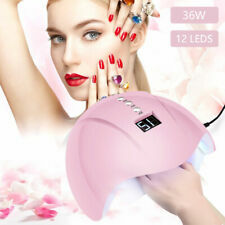 Included: 1 X LED UV Lamp Nail Dryer. Applicable Type : UV Gel, Lengthen Gel, LED Nail Gel. 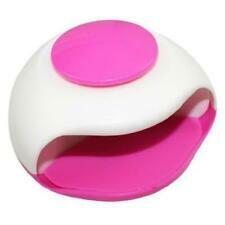 It is the good helper for nail art. Color: Pink. Due to the different monitor and light effect, the actual color of the item might be slightly different from the color showed on the pictures.